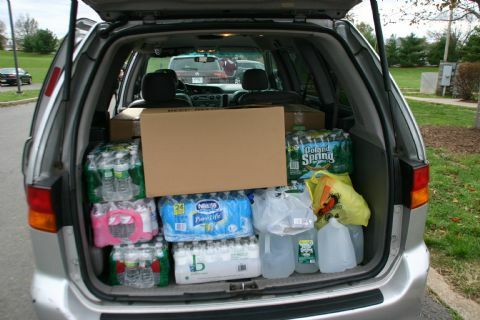 During the first collection week the Jr Raiders raised over $300 for the Red Cross today and gathered a minivan full of food and water to donate to a shore area in need. During the second collection week the Jr Raiders filled a truck with coats, men, women and children clothing, household supplies, toiletries, water and food. Way to go Jr Raiders.